Can Fin Homes Recruitment 2017 – 30 Probationary Assistant Posts :- Can Fin Homes Ltd has released latest notification for filling up 30 posts of Probationary Assistant. Desirous & eligible candidates can apply online from 07/08/2017 to 14/08/2017. Age Limit: 21 to 28 years as on 01/05/2017. Educational Qualification: A degree in any discipline from a recognized university , proficiency in data entry / computer applications is p referred. Starting Date of Online Application :07/08/2017. Last Date of Online Application : 14/08/2017. Application Procedure : Eligible candidates can apply online through the website http://www.canfinhomes.com from 07/08/2017 to 14/08/2017. 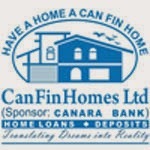 Can Fin Homes Ltd has released latest notification for filling up 30 posts of Junior Officer on Contract basis for for the 30 branches (Existing & proposed) situated in Karnataka, Andhra Pradesh, Kerala, Tamil Nadu, Rajasthan, Haryana, Gujarat, Chhattisgarh, Orissa, Uttarakhand, Madhya Pradesh and Uttar Pradesh. Desirous & eligible candidates can apply online on or before 06/06/2017. Age Limit: 21 and 28 years as on 01/04/17. Educational Qualification: Graduate in any discipline from a recognized University/Institution with knowledge of computer operations. Application Procedure : Eligible candidates can apply online through the website http://www.canfinhomes.com on or before 06/06/2017. Subscribe our free job alert mail for Can Fin Homes Recruitment 2017.